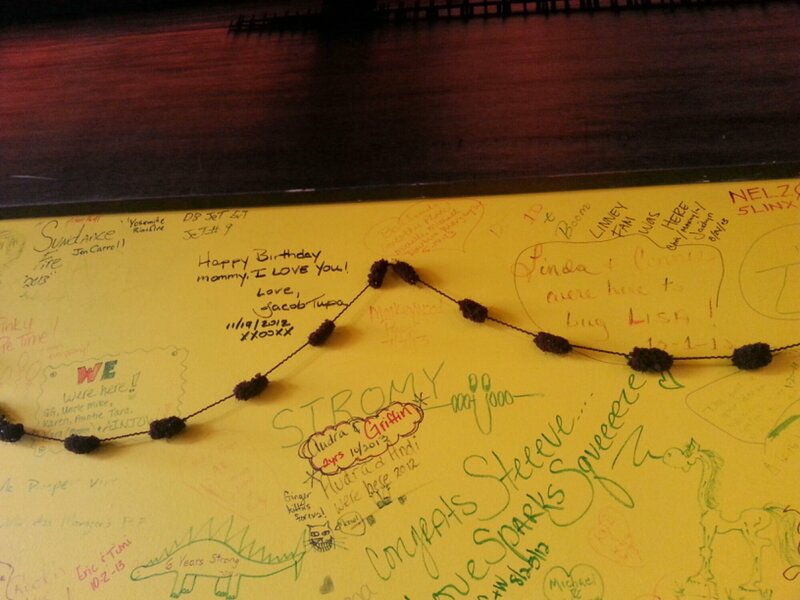 While eating lunch today I noticed that they had this gnocchi type yarn strung along the wall as decoration! Just had to share! Image | This entry was posted in Fibers, out and about. Bookmark the permalink.